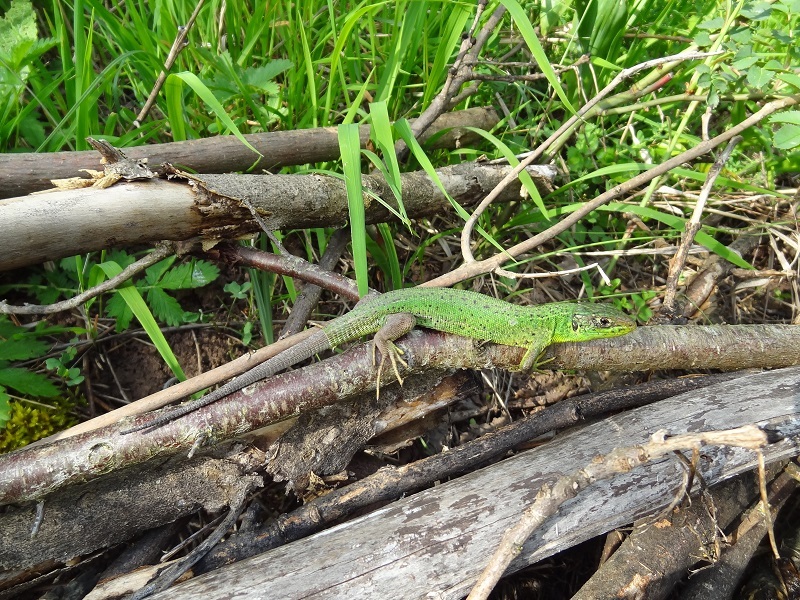 Green lizards are not only the largest but also surely the most flamboyant lacertids of central Europe. Besides this, they are also the rarest kind of lizards here around, with only a few handful of often quite local populations. Fortunately, one of those local populations is living nearly in sight from where I live. 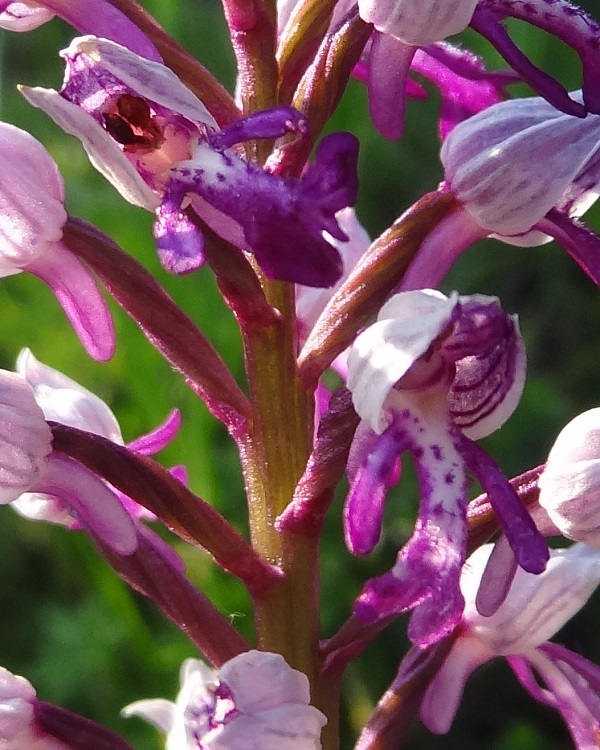 This population had also a somewhat cryptic status and was next to unknown for a very long time. So far I had only seen one single specimen within three decades, about which I wrote here. 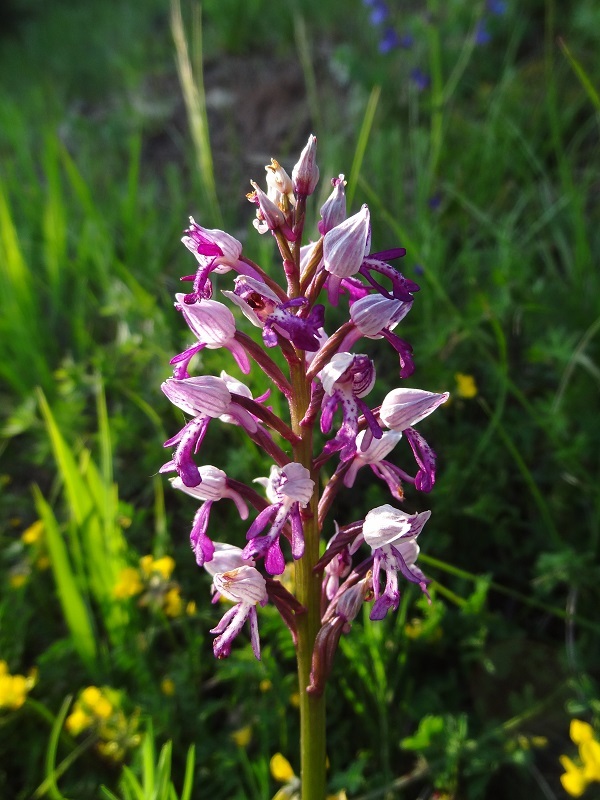 But three days ago I made once again a long walk in this area, and was highly delighted to discover two more specimens. One of them was a subadult from which I could take some really close photos. As you can see, it had a regenerated tail. The second specimen which was basking on a wall was well bigger, and as I could later see on the photos, had just shed its skin. 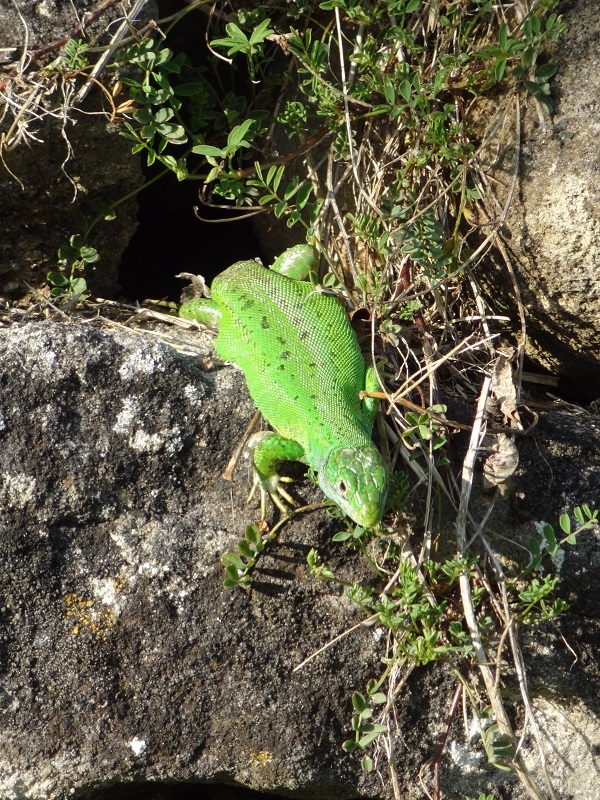 I think it´s still not fully known to which of the green lizard species this population belongs to, as the Western green lizard (Lacerta bilineata) and the Eastern green lizard (Lacerta viridis) are looking extremely similar. Furthermore, both species occur locally in Germany. 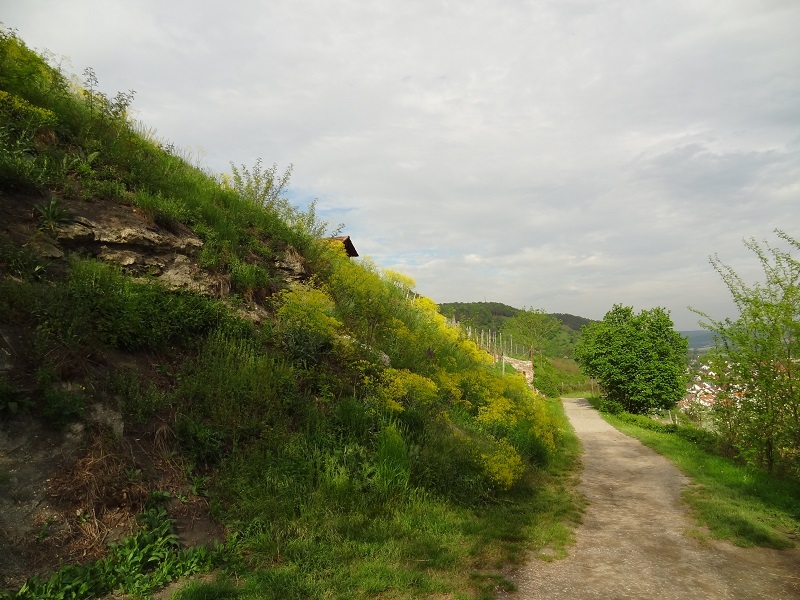 This particular area has a very warm microclimate and houses a lot of rare animals and especially plants. 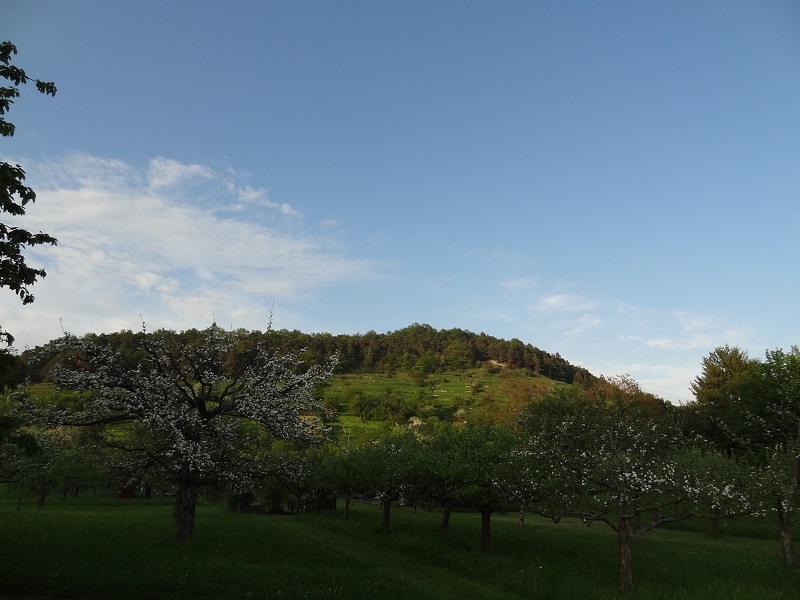 Furthermore the landscape is quite diverse, with vineyards and meadows, orchards, shrubs and also forested areas. 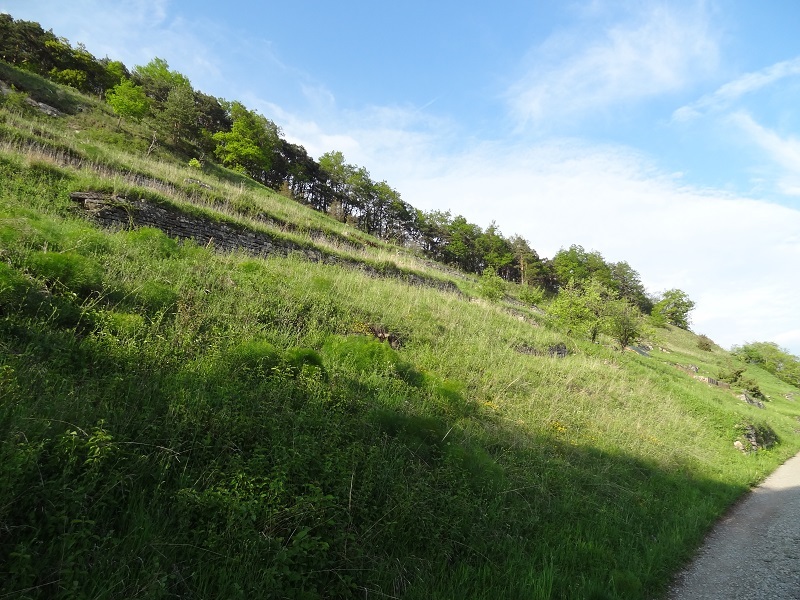 Originally most of this slope was covered with vineyards, but today only dry walls remain on big areas, making them perfect habitats for many species. If you take a very close look on them, they look like tiny elves cut from paper. 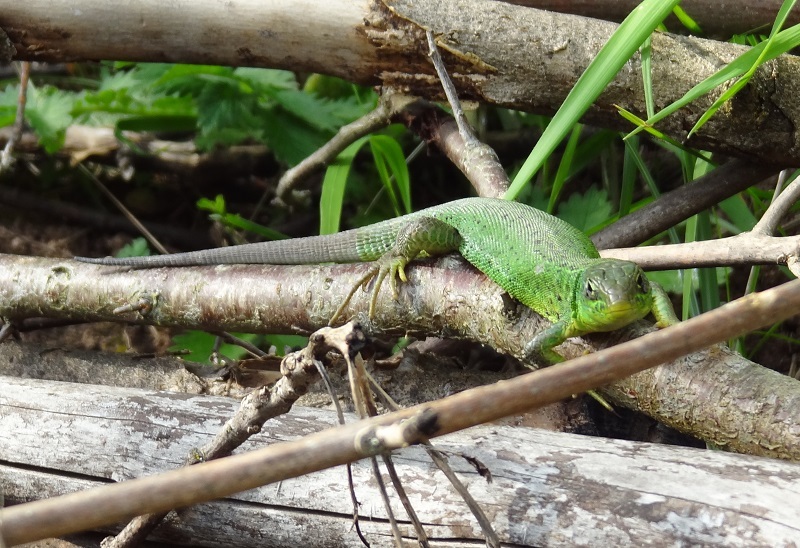 You can see more photos of green lizards which I took in the Kaiserstuhl area in another blogpost. Dieser Beitrag wurde unter Naturbeobachtungen, Reptilien veröffentlicht. Setze ein Lesezeichen auf den Permalink. 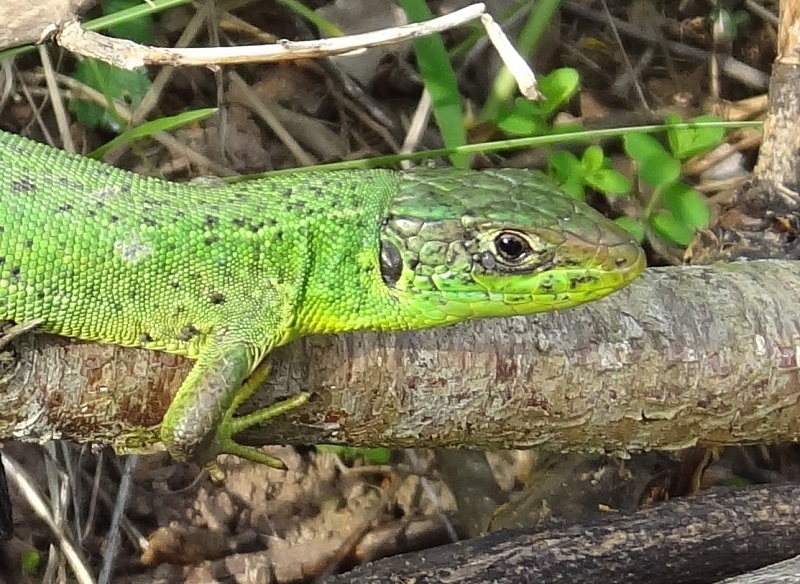 On Kaiserstuhl, you will always find Lacerta bilineata from those similar Lizards. Ja, kommt allerdings auch stark auf die Temperatur und Tageszeit an.